If you are moving to HtmlService from UiApp, you may encounter some performance issues. First look at the best practices. Hopefully that section will expand over time. HtmlService introduces Caja to the mix for good or ill and the processing changes quite significantly. To explore the performance issues around some design decisions, I developed a simple form for an upload to Google Drive. Looking forward to a time when form is as important as function, I chose to style with Twitter Bootstrap and use a bootstrap extension to style the file input component. This means that, as well as the html, there a few .css and .js files to load. 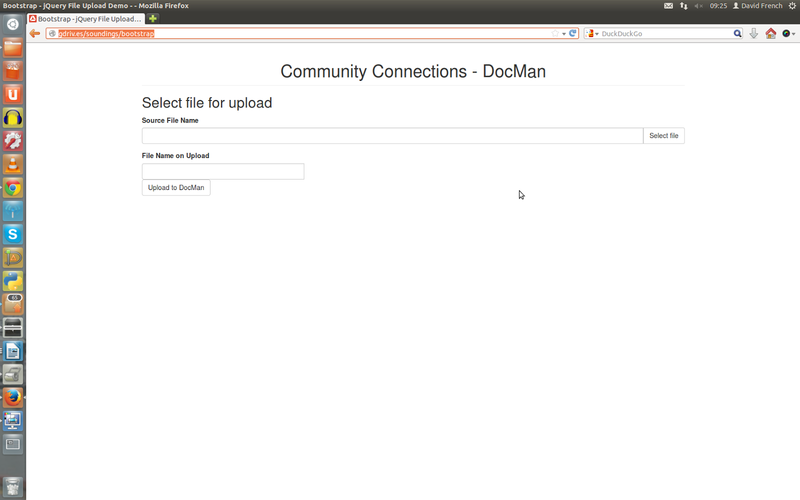 Note that this example has no submit functionality coded, just the display and upload file selection. A noticable feature of the HtmlService working is that the .js gets are sequential while the hosted version did them all in parallel. Your milage may vary of course. I am seeing this in New Zealand at the end of an ADSL link. Wow this is a very informative post. I was also astounded by the performance (or rather the lack there of) of htmlservice. Don't really think it ready.